Targets which measure improvement in education are ENDLESS. We can choose to set targets for improvement in specific curriculum areas (reading, writing, mathematics) in school culture (# of suspensions, attendance), in specific populations within our schools (gender, ethnic diversity, grade level) and the list goes on and on. The sources of data for measuring improvement, which we have at our fingertips, are ENDLESS. We can use standardized tests (EQAO, OLSAT, Phonological Awareness, DRA), teacher generated assessments, report cards, parent/community surveys, Trillium reports and the list goes on and on. The opinions of the stakeholders in our school community are ENDLESS. Teachers are passionate about measuring specific initiatives, parents want to see improvement in specific areas, students are proud of their accomplishments in so much of what they do, we have expectations from our board to choose and report on specific targets and the list goes on and on. But what isn’t ENDLESS is our resources (human and otherwise) and to that end, school improvement goal setting is an art, as much as it is a science. A school needs to purposefully choose a target that will meet it’s need at this time. What to measure, which tool to use, how will we know if we are successful, and how will we share our results are all questions which need to be intertwined in choosing the right goal. 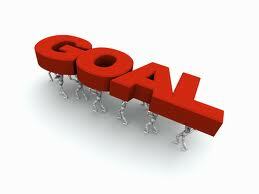 As a teacher, what goals do you set for your students on a daily basis, a weekly basis, per term, on an annual basis ? How are you going to know that you and your students were successful in meeting those goals? 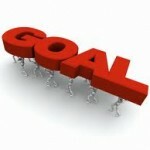 How do you celebrate when you meet those goals and what do you do when you don’t meet your goals?